Motels - Stand and Deliver! The contention that, in 1984, the Doors had “sold more records than they had during the entire time they were together” (see “It Was Twenty Years Ago Next Year”) could be incorrect. It may well be the case that in 1984 the Doors in fact sold more records than they did in all of the years up to 1984 combined. 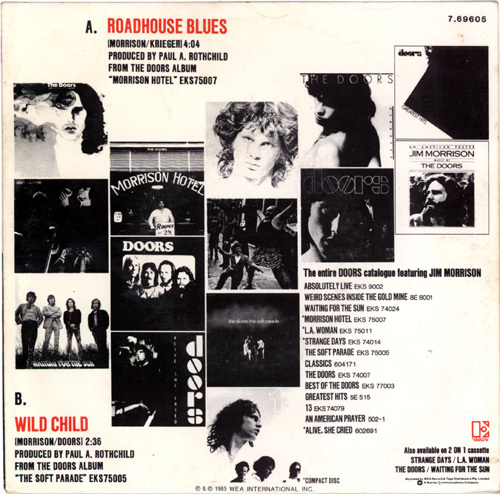 Even so, the ‘collector’s edition’ single released in 1985 – ‘Road House Blues’ coupled with ‘Wild Child’ (essentially, two lesser tracks, derived from an ouvre of lesser tracks) – failed to dent the charts in Australia. One thing’s for certain: by the end of the 80s, it was a truism that you knew it was time to leave the party when everyone started singing along to Doors records. And when they started singing along to Led Zeppelin, you knew you should have left while they were still singing along to the Doors. If only it could have ended there. 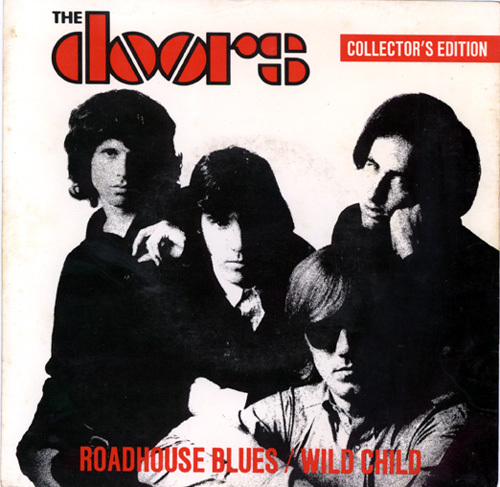 Two original members of the Doors, keyboardist Ray Manzarek and guitarist Robby Krieger, are currently touring as “21st Century Doors”, much to the distress of original drummer John Densmore. Severe tinnitus prevents Densmore from joining his former bandmates on stage to play rock ’n’ roll and so he has been replaced by Stewart Copeland, former tub-thumper for the Police, who has in turn been replaced by Ty Dennis. Whaddaya mean ya never heard of Ty Dennis? He was the drummer in “modern, edgy-arty, quirky” Hollywood band Fire Bug, who boast “intense female vocal delivery” (because you just can’t get enough of the ‘intense female vocal delivery’ subgenre in rock ’n’ roll!) as well as drumming in one of the numerous line-ups of the also-fronted-by-a-female band, the Hollywood New WaveMotels. (‘Fire Bug’? ‘Motels’? ‘Police’? Can you see a theme developing here?) At least Ty will fit in with the Hollywood/LA mindset that originally helped inform the Doors. However, what mostly distresses Densmore is that the band is being fronted by Ian Astbury, of the Cult. Densmore claims that when he, Manzarek and Krieger soldiered on (with a couple of drearily lacklustre albums) after Morrison passed away in the bath in July 71 (or did he? Perhaps he did re-surface in Africa under the anagrammatic pseudonym Mr Mojo Risin’ – as he'd always threatened he would) they agreed that only the three of them in partnership could continue to use the name ‘The Doors’.